VALENTINE’S DAY IS THE PERFECT time to look and feel your very best. Nothing will make you feel happier and more confident than a gorgeous new smile! If you are an adult, your Valentine’s smile makeover may require comprehensive dental care. Here is your smile makeover action plan! First, see a periodontist for a thorough soft tissue evaluation of your gums and bones around your teeth. Your periodontist will get your teeth ready for orthodontic treatment. To find a periodontist near you, visit the American Academy of Perodontology at www.perio.org. An orthodontist will put your teeth in the correct position for the best smile makeover possible. Teeth will need to be spaced correctly for a cosmetic result and your bite will need to be correct for dental health and tooth stability. To find an orthodontist near you, visit the American Association of Orthodontists at www.mylifemysmile.org. Finally, a cosmetic or general dentist will need to complete your final tooth treatment of either crowns or veneers as desired. To find a dentist with interest in dental cosmetics visit the American Academy of Cosmetic Dentistry at www.aacd.com. 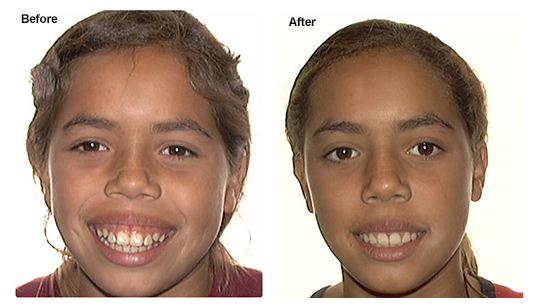 This case was treated by orthodontist Dr. Ann Marie Gorczyca, Gorczyca Orthodontics, Antioch, CA. Find us at www.clubbraces.com or call us at (925) 757-9000 to begin your Valentine's Day smile makeover. Love is in the air. Happiness is your beautiful new smile! POUTING, OR “thrusting out the lip, as in sadness” appears as an expression of displeasure. The lower lip sticks out farther than the upper lip. The chin often has a “golf ball” appearance and the lips strain to close over the teeth. Bimaxillary dentoalveolar protrusion produces the appearance of pouting. The jaws and teeth cause the lips to be more prominent than ideal. The lips may be separated at rest, producing a lip opening. 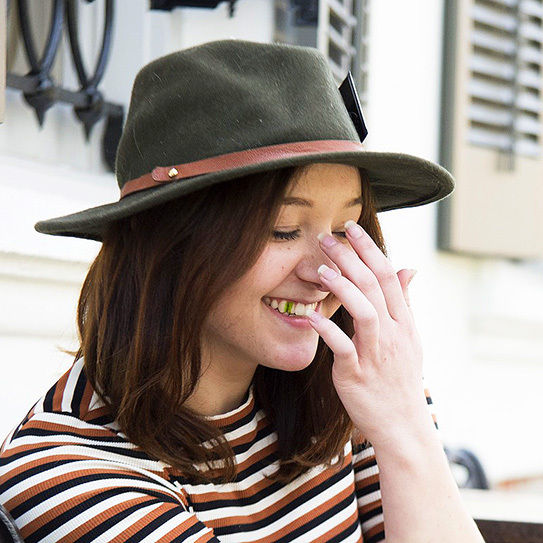 In some cases, the appearance of the teeth may not be a problem, but moving the teeth back has a dramatic and desirable effect on the facial profile. Lips are influenced by ethnic norms. Northern Europeans have thin lips. Asians and Africans have thicker lips and more tooth prominence. The patient’s desires, nose and chin size, and culture will all influence the orthodontic decision to move teeth back to improved facial appearance. If you have questions about your facial profile, call us at Gorczyca Orthodontics in Antioch, California (925) 757-9000. Find us at www.clubbraces.com. To find an orthodontist near you, visit www.mylifemysmile.org. If you pout, it may be an indication that your teeth stick out too far. An orthodontist can fix this. So, there’s no need to pout. 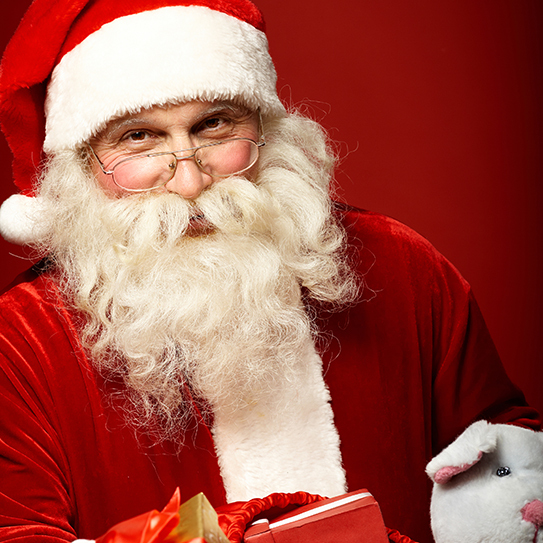 You’re better off not to pout at any time of the year, and especially when Santa Claus is coming to town. ARE YOU SETTING WEIGHT LOSS GOALS? GREAT! 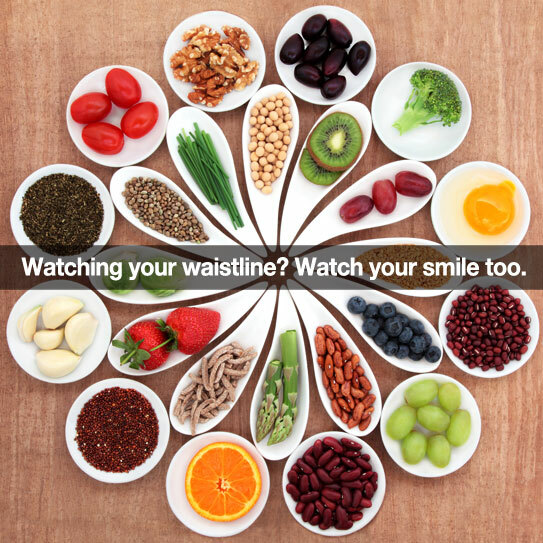 Just remember to stay healthy — and that includes taking good care of your teeth while dieting! In order to keep your teeth healthy while in braces, it’s very important to be careful of the foods that you eat. 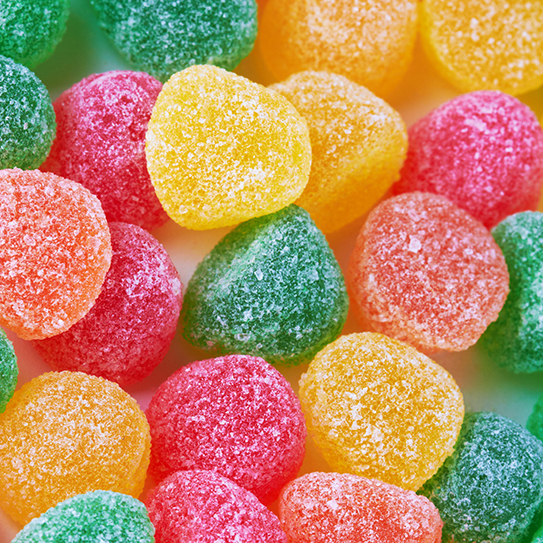 Many of those dangerous foods are things you would never eat on a diet — like sour gummies. However, many healthy diet foods are also bad for your teeth, and braces! Thanks for the trust you place in our practice. We appreciate having you as our valued patient. DID YOU REALIZE THAT an estimated 90 percent of systemic diseases can have an oral manifestation? Your mouth is loaded with helpful information about your body’s overall health. Now, we are neither your physician nor your dentist. But we see your mouth more often than either of them, and sometimes we spot important signs about your body’s total health. Fortunately, most of your mouth’s “stories” are related to minor issues. However, some can actually be signs of more serious problems. If you have worn-down teeth, it can mean that you’ve been grinding them — probably in your sleep. Teeth-grinding is more common in teens than any other age group. If it starts to cause a problem for your treatment plan, we may recommend a special night guard for your teeth. If we notice that your tooth enamel is thin, it could be a sign of a condition such as acid reflux or bulimia because both regularly bathe teeth in stomach acid. Occasionally, we all may have swollen, sensitive gums. But if it persists, even when you’re taking really good care of your mouth, it could be an early sign of something serious like diabetes or leukemia. Sometimes it may simply be a sign of vitamin C deficiency. But it’s good to consider all the possibilities. In addition, modern research and many health experts continue to draw lines between gum disease and other whole-body health issues, including lung disease, cardiovascular problems, and even early-term labor. There are a few odd tongue conditions like hairy black tongue (which is pretty much what it sounds like) and geographic tongue (random-shaped, smooth red patches) that have various causes but are not considered serious — although they can cause discomfort. However, what IS serious are early signs of oral cancer which often show up on the side of your tongue first, in small red or white spots. If you have a sore on your tongue, cheek, or elsewhere in your mouth that doesn’t go away in a reasonable amount of time, have a dentist check it out right away. Nutritional deficiencies are often reflected in your mouth where the soft tissues are renewed quickly. An Academy of General Dentistry study shows that oral tissue sensitivity can be a sign of deficiencies in iron, zinc, and folic acid which can show up as gum disease. Questions About Your Oral Or Overall Health? First of all, don’t skip your doctor appointments! That’s not what we’re suggesting with this post! But remember that your regular dental checkups are more important than ever. And if, at any point, we see something that might be a sign of a health problem, we may recommend that you have a dentist or physician take a closer look. Here at our practice, we’re so grateful for your trust. If you ever have any questions or concerns about your oral health or your orthodontic treatment, please ask us. And if you have any persistent symptoms like those listed in this post, let us know. Thank you for choosing Gorczyca Orthodontics for your orthodontic needs. FIRST OF ALL we’d like to very strongly urge all of our patients in braces to check the forbidden-foods list. 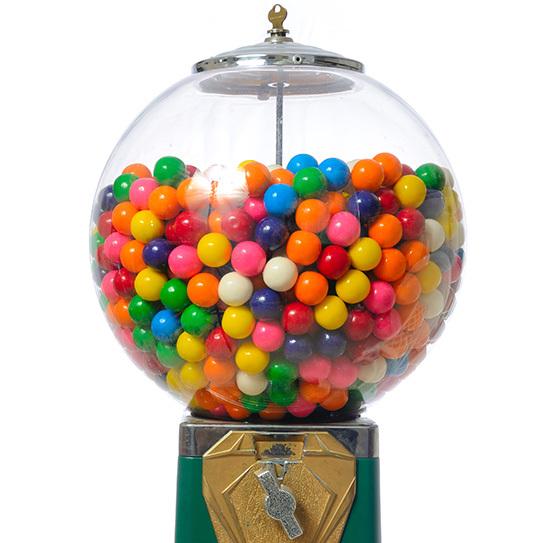 We don’t want to see anyone coming in for braces repairs thanks to a candied apple, or chewy taffy. Don’t take these tips as an endorsement to eat foods that can hurt your teeth and braces. Secondly, whether you’re in braces right now, or you’re finished with treatment, keep these tips in mind as this Halloween season approaches, to keep your teeth happy and healthy. Hard ones, like suckers, that rest on your teeth for long periods of time—and can crack or chip teeth. Of course, there are some fun non-candy options for Halloween treats, too. You can check some of them out by clicking here. Call us at Gorczyca Orthodontics (925) 757-9000 in Antioch, California for a free orthodontic exam. Visit us at www.clubbraces.com to learn more about our orthodontic practice, customer service team, and teeth. Here’s to a safe and healthy Halloween. Given our on-the-go lifestyles, breakfast can become an imbalanced, over-sugary meal! We don’t typically eat candy for breakfast—yet, we choose popular cereals and pastries that are full of sugar. These unhealthy breakfast choices can be damaging to your teeth and gums—and your appliances—with multiplying effects if you’re not brushing and flossing after breakfast. Healthy teeth and gums respond better to orthodontic treatment—so eating a good breakfast may also help you towards your goal of a straighter, more lovely smile! Eat firm, ripe fruits and healthier vegetables (cut into bite-sized pieces). Avoid hard or sticky foods that could damage your appliance. Gorczyca Orthodontics, 5201 Deer Valley Road, Antioch 925-757-9000. Find us at www.clubbraces.com. AN EDGE TO EDGE BITE WITH zero overjet and zero overbite will lead to excessive tooth wear. Left untreated for many years, this continual process of front teeth meeting and grinding unnaturally will lead to excessive tooth abrasion or early wearing down of your teeth. This will produce short teeth and may even lead to tooth sensitivity. 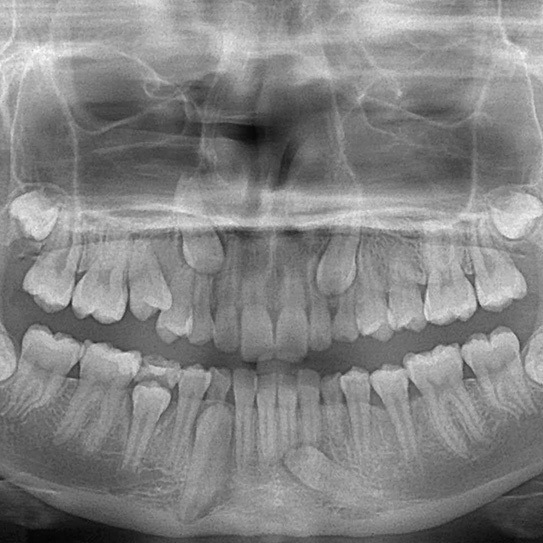 Orthodontic treatment will correct this problem by creating ideal tooth horizontal overlap "overjet" and ideal tooth vertical overlap "overbite." Once this is done, your worn teeth can be cosmetically restored to their original length. 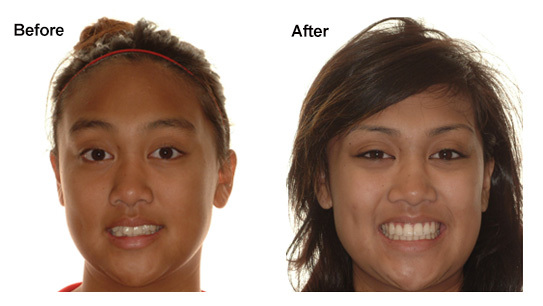 This smile makeover will give you the youthful teeth and look which you once had. After orthodontic treatment, temporary restorations will be made for you to adjust to before you receive your final crowns and permanent tooth build up. Your orthodontist will need to move the teeth that were worn to ideal tooth and gum position. Your general dentist will then be able to build up these teeth to ideal height and length making them look good as new. Your orthodontist and general dentist may also recommend a night guard to prevent tooth wear from nocturnal bruxism. Bruxism is the clenching and grinding of teeth throughout the sleep cycle that almost every person occasionally experiences. This will keep you from experiencing further tooth wear in the future. If you have questions about worn or short teeth, call us at Gorczyca Orthodontics in Antioch, California (925) 757-9000. Dr. Gorczyca works closely with the many fine dentists of East Contra Costa County and beyond to restore teeth to their ideal position and give you a beautiful smile. Eliminate your edge to edge bite today with orthodontic treatment and a smile makeover. Get back your dental health and your beautiful smile. NOVEMBER 1ST IS ALL SAINTS DAY, celebrated in honor of all saints, beatified and known and not yet beatified and unknown. On this day, we may take a moment to remember the Patron Saint of Dentists, Saint Apollonia. In Alexandria, Egypt, Saint Apollonia was held in high esteem. During the reign of Dionysius, Bishop of Alexandria (247-265), Apollonia was seized by the mob. She had her teeth knock-out and broken. Still, she refused to repeat impious words of blasphemy or lose her chastity during this violent attack. Instead, threw herself onto a burning fire in an act of martyrdom. This account was preserved in a letter of Fabius, Bishop of Antioch, in what is now Syria. 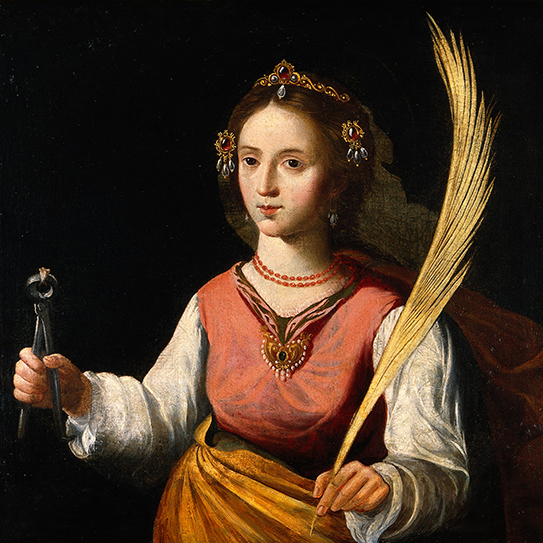 The Eastern Orthodox and Roman Catholic Churches celebrate the feast day of St. Apollonia on February 9th. St. Apollonia is popularly invoked against the toothache because of the torments she had endured to her own teeth. This is why St. Apollonia is the Patron Saint of Dentistry. The term Apollonia is often found in dental literature and attached to dental societies. The image of St. Apollonia is the side support of the arms of the British Dental Association. A reliquary containing a tooth reputedly that of Saint Apollonia is still found today in the Cathedral of Porto, Portugal. This blog was written by Dr. Ann Marie Gorczyca of Gorczyca Orthodontics, Antioch, California. Find us at www.clubbraces.com. Top image by Wellcome Library, London. Wellcome Images used under Creative Commons Attribution-Sharealike 4.0 license. Image cropped and modified from original. CLOTHES, SHOES, PURSE, sunglasses, or jewelry, no matter what your favorite fashion, straight white teeth are your best and most powerful accessory. Straight white teeth light up a room or a fashion runway to give you the style and confidence you need with everyone you meet. Wearing red shade lipstick with blue tones will emphasize your teeth even more. When you've had orthodontic treatment, make way for a dazzling designer smile. If you would like to shop for a new smile style, an orthodontist can help you visualize your new look. Call Gorczyca Orthodontics in Antioch for a free consultation (925) 757-9000 or find us at www.clubbraces.com To find an orthodontist near you, visit the American Association of Orthodontists at www.mylifemysmile.org. Your smile is your best fashion accessory. Let your smile be your signature fashion statement. WHEN PRESENT, they lead to excessive tooth wear and dark smiles. They cause you to bite your lips and cheeks. They even limit your jaw function. Any way you look at it, crossbites are not good for your dental health. When a front crossbite is present, the upper tooth appears "behind" the lower teeth. If untreated, front tooth crossbite leads to excessive tooth wear. When a back crossbite is present, the upper tooth is "inside" the lower teeth. Back upper teeth are trapped or tipped towards the tongue. This abnormal tooth position causes your lower jaw to shift. Back crossbites lead to cheek biting, jaw shifting, and the appearance of black space in the corners of your smile. Braces, Invisalign, or removable expansion appliances can fix crossbites by upper arch expansion. Visit us at Gorczyca Orthodontics in Antioch, California (925) 757-9000 to find out how dental arch expansion can eliminate your crossbites. To find an orthodontist near you, visit the American Association of Orthodontists at www.mylifemysmile.org. 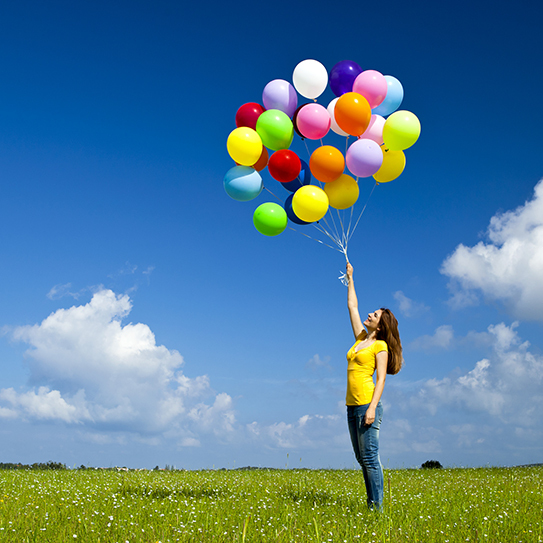 Sky's the limit with orthodontic possibilities. Eliminate your crossbites today for ideal dental function, comfort, happiness, and life. WHAT IF SOMEONE HAD done short-term ortho on Jackie O? The result would have been hideous. An obvious Class II Division 2 skeletal malocclusion, if a dental care provider had straightened Jackie O's tipped in and crowded upper front teeth without surgery or extractions she would have ended up looking like Bart Simpson. This is something a real orthodontist would never do. 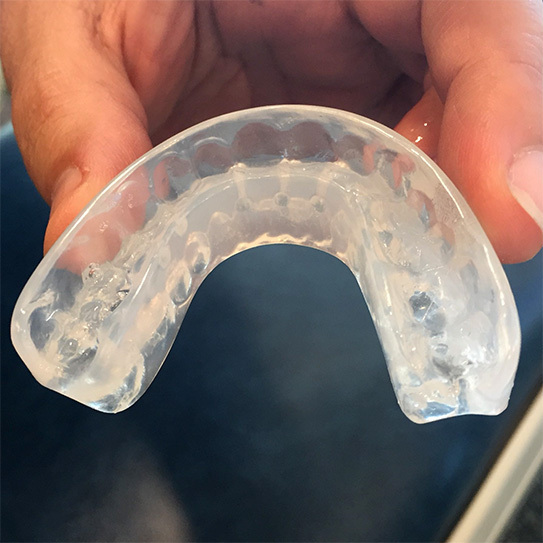 Yet, primary providers, uneducated in orthodontic diagnosis and treatment planning, offer short term orthodontic treatment with braces or Invisalign to skeletal Class II patients without correcting the underlying skeletal problem. 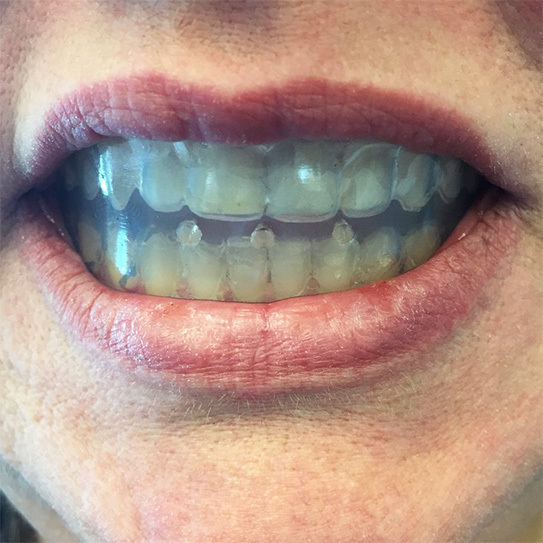 Straightening of severely tipped and crowded upper front teeth in a Class II Division 2 bite actually unmasks the horizontal jaw discrepancy giving these patients a new appearance of "buck teeth" following short-term ortho. Once the severe overjet and overbite is worsened by short term ortho, most patients seek orthodontic correction with an orthodontist. Unfortunately, many of these patients have already paid $4,500 to a provider of short term ortho. Now, a real orthodontist must tell the patient that their orthodontic treatment must be redone correctly for an additional cost of $7,000. This is a very unfortunate and uncomfortable situation. Patients are being hurt physically, emotionally, and financially by not getting initial diagnosis and treatment by an orthodontist. Once this happens, trust in the primary provider of short-term ortho is gone forever. Don't be one of these unfortunate patients. Do your research and get information about orthodontists and orthodontic treatment. If you have questions regarding short-term orthodontic treatment, seek orthodontic care with a real orthodontist, a dentist who has completed an additional two or three years of full time residency and has had intensive training to become an expert in orthodontics. Find an orthodontist by choosing a member of the American Association of Orthodontists at www.mylifemysmile.org. The Class II Division 2 smile can be spotted by an orthodontist or maxillofacial oral surgeon from the nose bleed section of the audience. It requires a mandibular advancement surgery or upper tooth extraction for a beautiful and ideal result. If you have questions regarding mandibular advancement jaw surgery, contact an oral surgeon, an expert in face, mouth and jaw surgery. You can find an oral surgeon at the American Association of Oral and Maxillofacial Surgeons at www.aaoms.org. If you have a Class II Division 2 bite like Jackie O, fix it correctly or do nothing at all. 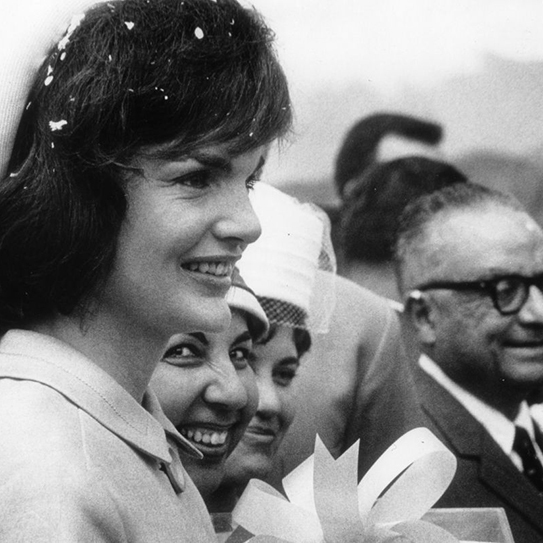 Thanks for the smiles, Jackie O. YOU ALREADY SUSPECT THAT ENERGY DRINKS contain a lot of sugar, but at least they're not as bad as soda pop, right? You wouldn't be alone if you’ve thought that sports drinks, thanks to their supplement arsenal, are good for growing bodies. But the truth is energy and sports drinks can be even worse for your teeth than soft drinks. The market for energy drinks has almost tripled in the past few years, targeting teens and young adults. Considering their popularity, it's important to know about the dangers. If you suspect you've already experienced damage from sports or energy drinks, contact us to visit about ways we can help. Rinse out your mouth with water or chew some sugar-free gum after having energy drinks. This rebalances the pH level in your mouth to counteract the acid. Don't brush for a while after drinking—your enamel is still soft and brushing can damage it even more. Drink sports drinks before you get dehydrated, not after. That way, you'll have the saliva you need to protect your teeth. Here at Gorczyca Orthodontics we want you to be aware of what you can do to help prevent enamel damage. Do you have a story to share about sports or energy drinks? If so, comment below or visit our Facebook page and tell us about it. Do you have other questions for our team? We'd love to hear from you! Give us a call at (925)757-9000 or find us at www.clubbraces.com. NEW SMILE, NEW YOU. Your Invisalign smile makeover will take years off of your appearance, make you feel young again, and give you a reason to smile. Invisalign is a fast and easy way to correct your bite, tooth position, and smile to prepare your teeth for your gorgeous smile makeover. Invisalign is a comprehensive orthodontic treatment. Combined with the wearing of orthodontic rubber bands, Invisalign will move your teeth and correct your bite to make your smile ideal. Orthodontic treatment combined with the technology of AcceleDent can cut your Invisalign treatment time in half giving you a fantastic bite and smile in less than two years. This case was completed by Board Certified Orthodontist Dr. Ann Marie Gorczyca and General Dentist Dr. Jeffrey Haug of Antioch, California. Both doctors are located at the Deer Valley Dental Professional Building, 5201 Deer Valley Road in Antioch, California. For a complimentary orthodontic consultation and information about your smile makeover, visit us at www.clubbraces.com or call us at (925) 757-9000. Turn back time with Invisalign and a smile makeover today. Here's to your beautiful and youthful smile. FOR A BEAUTIFUL SMILE, tooth shape matters. When too short, too square, too thin, or too triangular in shape, even perfectly straight teeth may need cosmetic help. In addition to orthodontic treatment, your orthodontist may also recommend that you receive a tooth shape makeover with a cosmetic dentist. Cosmetic dentists specialize in crowns, veneers, and other cosmetic dental procedures that can help make your teeth dazzling. Orthodontists specialize in ideal tooth positioning, tooth function, and your bite. Your orthodontist will place your teeth in an ideal position so that you can get the best full smile makeover possible. 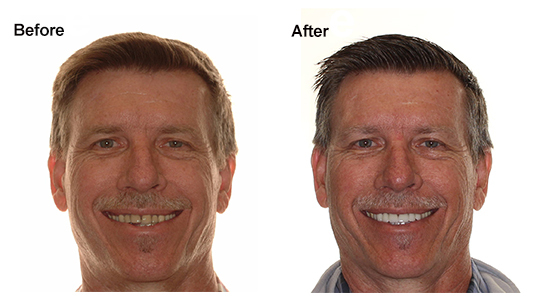 These smiles were prepared for full smile makeover by orthdontist Dr. Ann Marie Gorczyca, Antioch, CA. Find us at www.clubbraces.com or call us at (925) 757-9000. 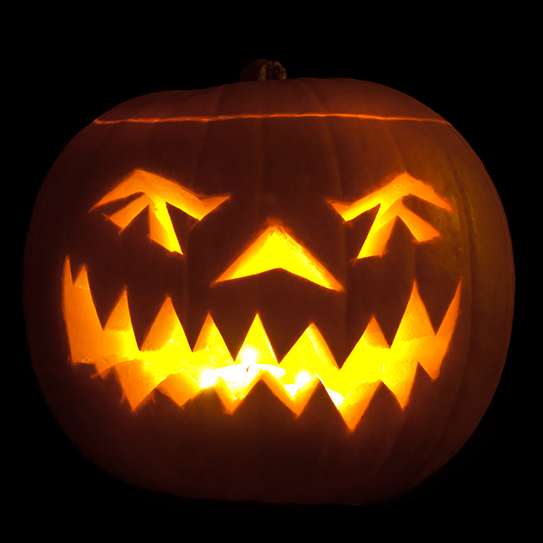 There's no need to be spooked by the shape of your teeth. Consider a full smile makeover today. You'll wish you had done it sooner. WHY ARE CERTAIN CANDIES so bad for our teeth? One reason is all that sugar, of course. We know that. Here’s something you may not think about as often... Many popular treats include the descriptors tart, tangy, and sour. It seems the more bitter, the better. Trouble is, our teeth are paying the price for this sour trend and we continue to see the damage. A pH scale shows where substances are on a spectrum from base to acidic. 14–12 is really base, and 2–0 is really acidic. A nice, neutral pH level of 7 is ideal for your mouth. When you eat acidic foods the pH level lowers. This can create a hostile, enamel-eroding environment for your teeth. No sugar (or plaque) is necessarily needed for an “acid attack” to be damaging. 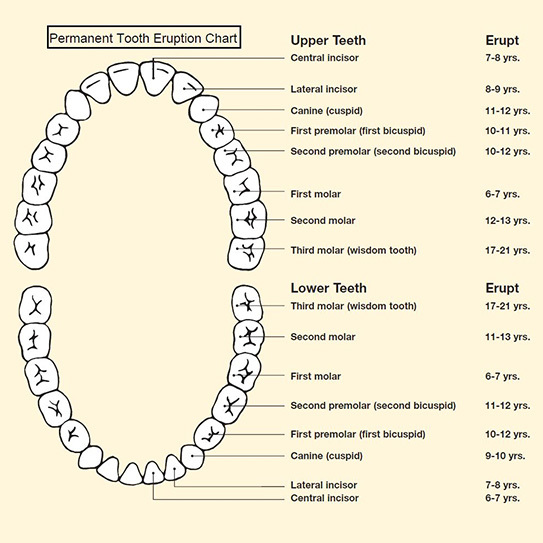 Our tooth enamel can start to erode at a pH level of 4. Spree, a relatively mild sour candy, has a pH level of 3, Sour Skittles 2.2, and WarHeads Spray 1.6. That’s pretty shocking when you consider battery acid has a pH level of 1.0. Chewing sugarless gum stimulates saliva flow for cleansing. Swishing water around in your mouth can also help. Still, the smartest thing you can do is to stop eating tart candies, or eat them very sparingly. They’re treats, not snacks. If you have braces you need to be extra careful. Not only can candy damage your appliance, it can be hard to remove around the brackets and may increase the chance of decay. You’re better off avoiding it. 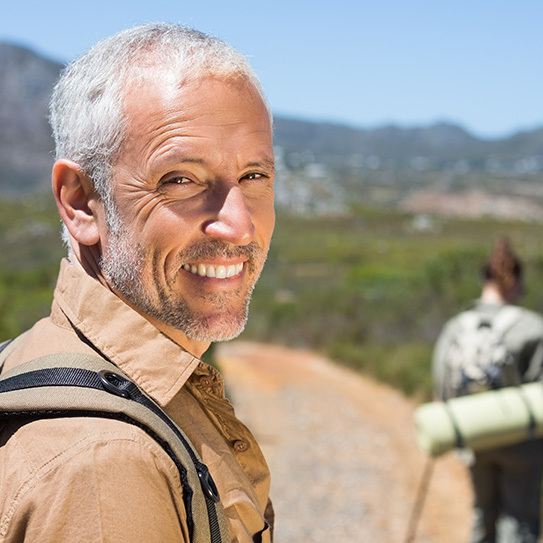 If you’re experiencing signs of acid erosion, ask us about it. We can help. Thanks for being our valued patient! We hope you and your smile are doing well! UNDER ALL THAT AWESOME ORTHODONTIC WORK we’re doing together, we’re well aware that there are teeth! And, we’re always concerned about their health during your orthodontic treatment period. 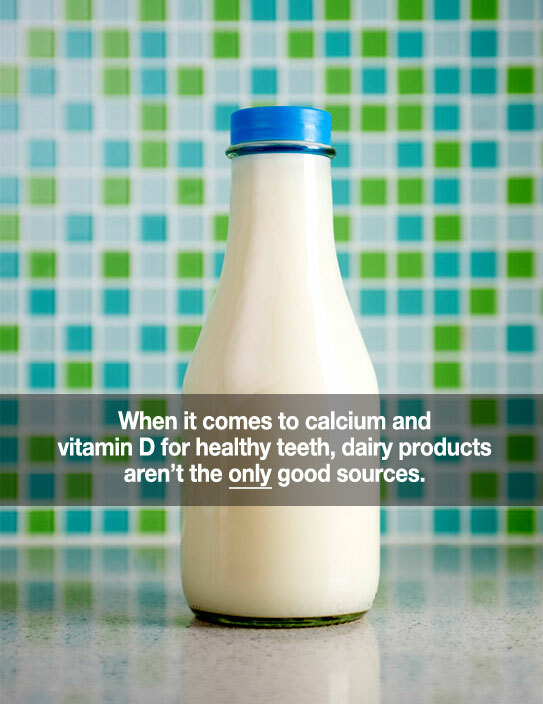 Most of us have been told (and many of us tell our children) that drinking milk builds healthy teeth and bones. But our nutritional and dietary preferences are not only widely varied, they also change from time to time. Does milk really “do a body good”? Some believe it does, and others believe it doesn’t. "The office is very clean and comfortable"
"The office is always cheerfully decorated"
"I'm thrilled with the service I received there"
"Best run office I've been to"
"I'm very happy with my treatment"
"I give them an A+"
"Finishing up our third kid. All experiences have been great." "I will refer...to Gorczyca Orthodontics ;)! "The staff has repeatedly gone the extra mile"
"Amazing and talented group of people"
"Dr. Gorczyca always takes time to listen"
"She is about patients and their individual needs"
"She's the best orthodontist EVER!" 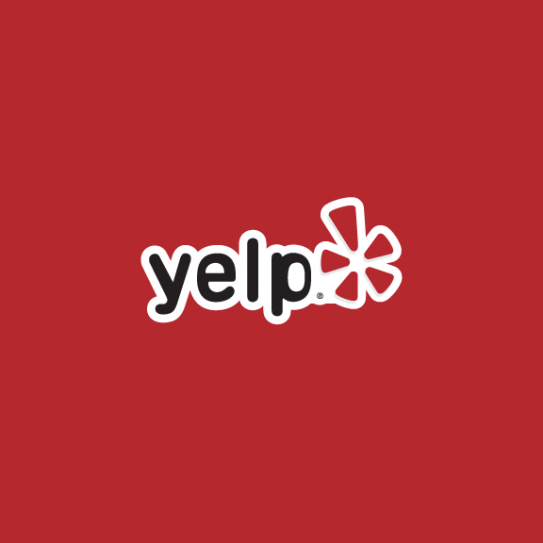 It makes our day at Gorczyca Orthodontics to receive a 5 star patient review on Yelp. Find us at www.clubbraces.com or call us at (925) 757-9000 to schedule a complimentary orthodontic exam. Your happiness and smiles are what we at Gorczyca Orthodntics are all about. Thank you for allowing us to serve you and for referring your family and friends. Your smile truly is our inspiration. Do You Have Highway 4 TMD? STUCK IN TRAFFIC? FEELING TENSE? If you live in East Contra Costa County, California and commute daily on Highway 4, you may have Highway 4 Temporomandular Disorder (TMD). Your pain may may be chronic or come and go related to your daily commute. 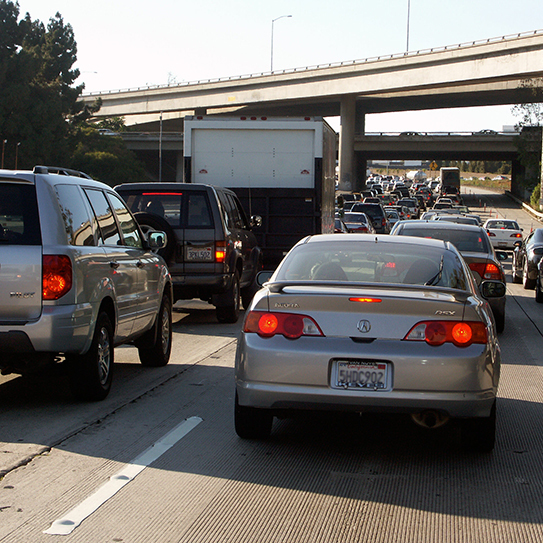 One thing for sure, the stress of your commute on Highway 4 can only make your TMD and bruxism worse. Bruxism (teeth grinding) or clenching strains the TMJ and is associated with stress. It's hard to control the habit of tooth grinding when you are commuting or stuck in traffic. That's when a dental splint can help. A splint is a custom made acrylic appliance that fits over your teeth. It may also be called an orthotic or night guard. A splint can keep your upper and lower teeth apart and reduce muscle strain and joint pain as well as eliminate tooth grinding. Do You Need Relief From Highway 4 TMD? Until the Highway 4 Bart line is completed and construction is done, you need not live with all Highway 4 pain and discomfort. Feel good and put your jaw at ease with a commuter Highway 4 TMD splint from Gorczyca Orthodontics. If you have Highway 4 TMD symptoms, call us at Gorczyca Orthodontics at 925-757-9000. Find us at www.clubbraces.com. Top image by Flickr user FontFont used under Creative Commons Attribution-Sharealike 4.0 license. Image cropped and modified from original. NEUROMUSCULAR DENTISTRY differs from traditional dentistry in that it includes focused consideration of the muscles and nerves in and around the jaw—and the correct positioning of the jaw—as part of overall oral health. Our teeth, joints, muscles, and nerves all work together in the proper alignment and functioning of our jaw. When any part of this delicate equation is overlooked, painful conditions such as TMD (temporomandibular joint disorder) and other serious dental problems can develop. How Does Neuromuscular Dentistry Relate To Orthodontic Treatment? 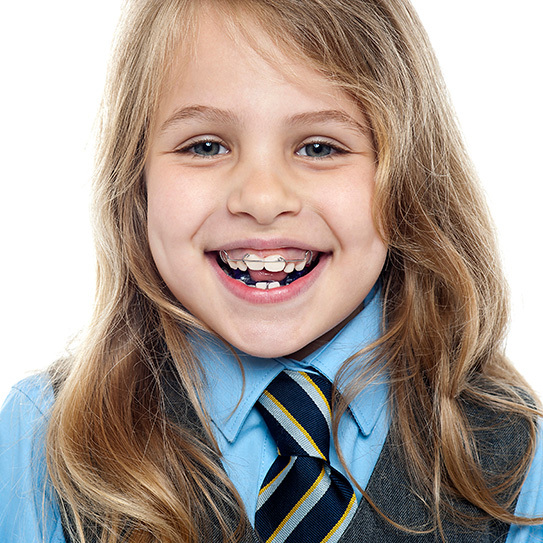 Orthodontists are well educated and experienced in the treatment of TMD. University-based orthodontic residency programs include working in a TMD clinic where patients with severe TMD problems are treated by a team of specialists to provide a solution to this complex dental problem. To find an orthodontist near you, visit the American Association of Orthodontists at www.mylifemysmile.org. What Can You Expect From TMD Treatment? The first step of TMD treatment is a comprehensive radiographic evaluation of the temporomandibular joints and discs by a dental radiologist. Once a diagnosis is made, the patient will be referred to the appropriate specialist to treat the symptoms and remove the cause of the pain. In situations where the bite is involved, orthodontists make a TMD splint. 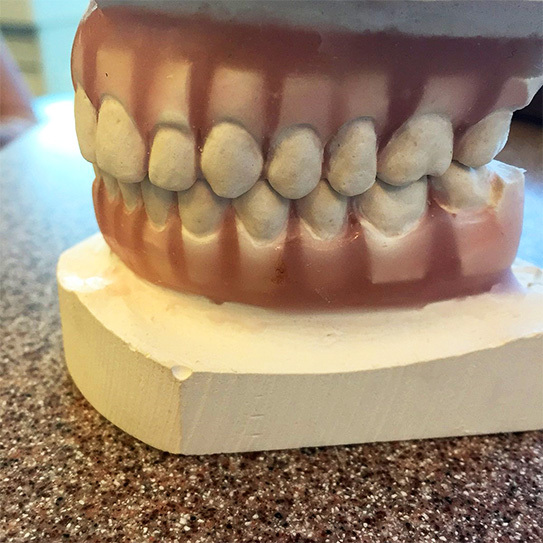 This splint is made of hard acrylic from mounted study models where your jaw placement is recorded in the most relaxed and natural bite position (centric relation). Hard biting will be relieved from the back of this splint (sometimes called a guard) so that your jaw can settle to the most relaxed and comfortable joint position. At Gorczyca Orthodontics, we are usually able to reduce TMD pain within 6 months. When appropriate, patients are asked to wear a TMD splint 24 hours per day and come in for weekly adjustments. “Where is the pain?” is an important question. When pain is in the joint, the bite may be a factor. After the splint is worn and pain is gone, some patients seek orthodontic treament for permanent pain relief. Some muscle pain can be caused by grinding and clinching of the teeth (bruxism). This pain occurs at certain times of the day, early morning or after a long commute in heavy traffic. In these situations, the splint is extremely useful for relaxing the muscles and relieving muscle pain. Pain can also be caused by a tooth or crown being high when biting or making jaw movements. This can be relieved by a small adjustment of the teeth with light grinding (equilibration). For this, Dr. Gorczyca will record your bite, complete the process study models of your teeth on an articulator, show you the result, and then reproduce these changes on your natural teeth for a more comfortable bite. Neuromuscular dentistry utilizes modern technology to precisely determine the proper positioning of the jaw, and to place the jaw into its optimal position, which can help relieve the symptoms associated with TMD. If you have symptoms like those listed above, take a minute and make an appointment with our team. We’d be happy to take the time to visit with you about the benefits of neuromuscular dentistry. Dr. Gorczyca completed a two year study of TMD in addition to her orthodontic residency program. This study was held at the University of Detroit and called “Advance Education in Orthodontics” AEO. Jaw pain is complex. There could be rheumatoid arthritis involved or damage to your nerves, muscles, and joints due to trauma or pathology. In these situations, Dr. Gorczyca will refer you to the UCSF Craniofacial Pain Clinic or the TMD Center at Kaiser Hospital for evaluation by an additional team of specialists. For Temporomandibular Dysfunction (TMD) treatment or neuromuscular bite evaluation, call Dr. Gorczyca at (925)757-9000 or visit us at www.clubbraces.com for a complimentary exam. We are here to help make your life pain free. And, as always, thanks for being our valued patient and friend. What Should You Expect From A Palatal Expander? 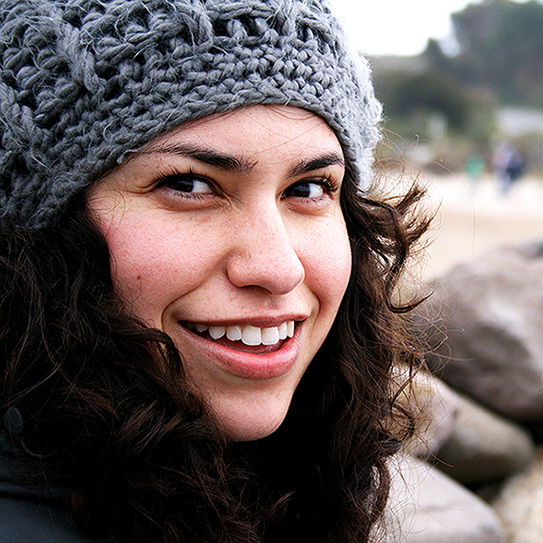 WHEN YOU START your orthodontic treatment, we create a specialized plan just for you! We use many methods and tools to give you a unique, personalized, beautiful, well-balanced smile. Many orthodontic patients have crowded teeth—often caused by a narrow palate. Crowded teeth can be hard to clean and interrupt the symmetry and balance of your bite. Sometimes, we solve this problem with a palatal expander. 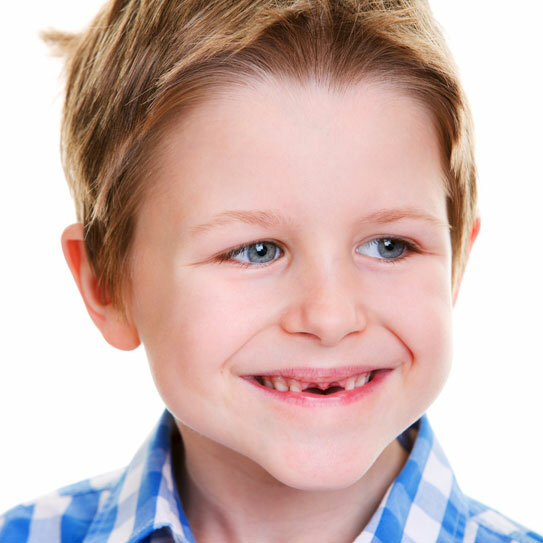 Palatal expander treatment is most effective when patients are young, before the growth plate in the roof of the mouth has fused (which often happens by age 14). 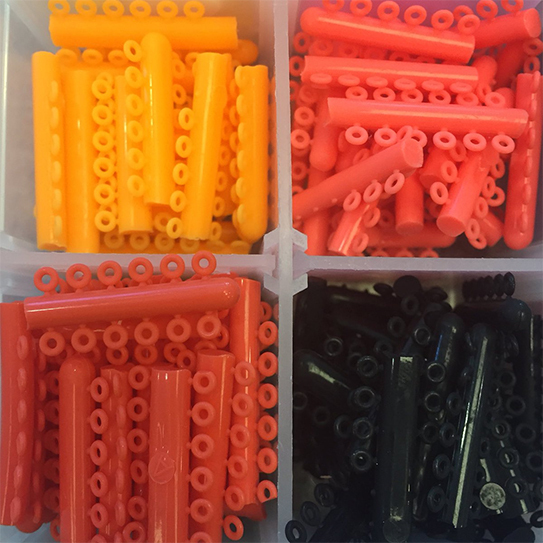 What Can You Expect From An Expander? Expanders gently help your palate become wider, making room to straighten your teeth. Braced on each side of your mouth, it gently and gradually exerts pressure. Typically, there’s a small key that fits into the expander and is turned at regular intervals. When you advance your newly fitted cemented expander, it is best at first to be seated. Take a hand mirror to see the arrow and hole in your expander. Remember to use the key front to back and then remove the key at the back of your mouth. Long handled keys are best. If you need help, lay down on the couch and have a parent help or return to your orthodontist for more instruction. Once you are a pro, you can advance your expander yourself while looking in the bathroom mirror. An expander may feel strange at first. Patients report feeling a little pressure each time the expander is adjusted, but that feeling goes away quickly. You may also find yourself speaking a little differently, or experiencing extra saliva flow as your mouth adjusts to the changes. Crossbites occur when upper teeth sit inside your lower teeth instead of outside. The presence of crossbites may cause you to bite the inside of your cheeks. This problem will go away once your crossbite is corrected. 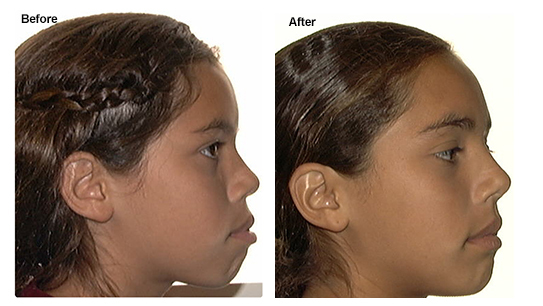 Palatal expanders widen not only the roof of your mouth but also your nasal passages. An added benefit of palatal expansion is that it will improve breathing and help prevent sleep apnea. In old age, it will also help you not snore! The most beautiful benefit of palatal expansion is that you will have a broad smile. In photos, you will show teeth all the way to the corners of your mouth and there will be no "black spaces". Your smile will light up the room. If You Ever Have Questions About The Treatments We Recommend, Please Ask! Regardless of the particular appliances and/or treatment plan we recommend for you, the bottom line is that you’re going to FEEL fantastic about the change in your appearance. We want you to feel confident about your treatment, and excited about your future smile. If you ever have any questions about the process, please talk to us. We’d love to explain the steps that we’re recommending to you! Consider orthodontic palatal expansion today. Your smile will be gorgeous!